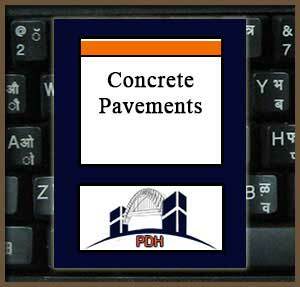 This course provides information on the materials and construction procedures for portland cement concrete pavements. It describes the constituents to be used in concrete, the procedures to be used in manufacturing concrete, and the equipment and procedures to place, texture, and cure concrete for pavements. It is applicable to pavements for streets and roads, vehicle parking areas, and airfields. Learn about responsibilities for mixture proportioning. Learn how to prepare and test concrete samples for flexural strength. Learn about the relationship between water-cement ratio and strength of concrete. Learn how to determine the field control strength for concrete. Learn the importance of air entrainment in concrete. Learn about the five principal types of concrete produced in the United States. Learn about grading of coarse and fine aggregate. Learn about deleterious materials in aggregate and why they must be controlled. Learn about admixtures and how and when they are employed. Learn about manufacturing, delivering and placing concrete. This course is intended for civil and structural engineers and other design and construction professionals wanting an introduction to the technologies, equipment and construction practices for portland cement concrete vehicular and airfield pavements. This course will give engineers and others an introduction to the manufacturing, processing, delivery and placement of concrete for pavements. This course will give you professional tools that will allow you to address concrete pavement issues in design and construction.